Monitor and maintain petroleum inventories, schedule and dispatch loads to transport drivers. Provide excellent customer service by preventing run outs at stores while meeting needs of Petroleum Supply Management department. 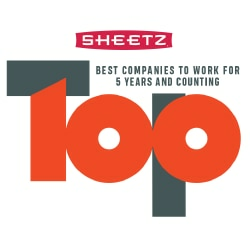 Monitor and maintain petroleum inventories at all Sheetz stores. Schedule loads to stores accurately and create dispatch for drivers while meeting efficiency and cost effective goals. Resolve problems with driver dispatches as they occur through written and verbal communication regarding product and delivery issues. Comply with Petroleum department direction of where supply points are utilized and amount of allocation that is to be dispatched.